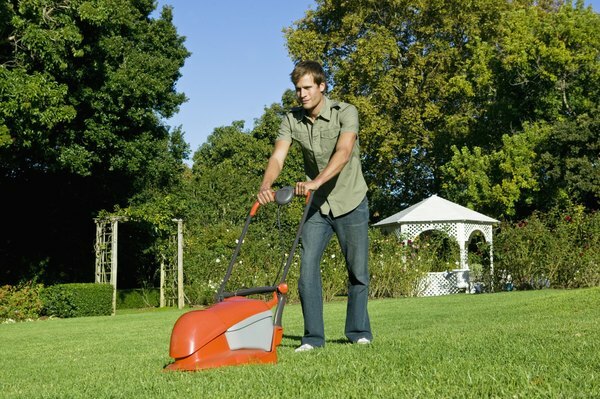 Half of your duplex's lawn service is tax deductible. 3. How Is Rental Income Taxed in a Duplex? When you own an owner-occupied duplex, you actually own two different properties from the perspective of the IRS. The half of the property in which you reside is treated just like a house, but the other half gets treated like an investment property. This seems pretty simple, but when you actually start splitting things down the middle, you might be surprised at how much better off you actually can be. As the resident of half of a duplex, you get all of the same deductions as any other homeowner. You'll be able to deduct half of your mortgage interest, half of your property taxes, and half of any deductible points that you pay. All of those write-offs get filed on your Schedule A form as itemized deductions, where they are subject to the same rules as any other itemized deduction. Instead of putting the tenant-occupied half of your duplex on your Schedule A, you report its income and expenses on a Schedule E. In addition to reporting the items that you deducted for your side, you also get to report every expense that you incur with regard to renting out the duplex unit. You can write off advertising fees, tenant screening fees, repairs that you make, insurance on the unit, and even snow and lawn services. The IRS also lets you depreciate the unit, which shelters even more of the income from taxes. The IRS's rules let you write off half of any expense that you incur that benefits both your side and your tenants' side of the duplex. This usually has the impact of effectively letting you deduct a portion of your expenses. For example, the city of Portland, Oregon's garbage service charges $33.90 per month for a 35-gallon garbage can. Upgrading to a 60-gallon can, which is almost twice the capacity of the 35-gallon can increases the price to $42.00. If you paid for the garbage service in your duplex, you'd be able to deduct $21 a month as a tenant expense. This would leave you with $21.00 for your non-deductible share of the garbage can. Since you'd pay $33.90 for garbage service in a single-family residence, you're effectively able to write off $12.90 of your personal garbage service. When you multiply this against every shared expense between the two units, it can add up quickly. When you sell an owner-occupied duplex, you can come out ahead of selling a rental-only duplex. Rental properties are subject to capital gains tax and depreciation recapture tax when they get sold. When you sell your house, though, you get to exclude up to $500,000 of the gain from capital gains tax and don't have any depreciation to pay back. Since your duplex gets treated as two properties, only half of your sale proceeds will be subject to taxes. Can HOA Fees Be Used as a Tax Deduction for a Second Home?